Growing up in the 1930s in the college town of Tuscaloosa, Alabama, gave me the opportunity to fulfill my lifelong dream of becoming a fighter pilot in the Army Air Corps. I always wanted to fly and spent many hours building and flying model airplanes. My only desire was to finish high school and enter the University and get the required two years college to become an Aviation Cadet. While in my first semester, the Pearl Harbor attack happened. That was it. I volunteered for the Air Corps in the summer of 1942 as they lowered the requirements to the high school graduate level. I soon found during training that not everybody can be a fighter pilot and ended up as a bombardier graduate from the Roswell, New Mexico Bombardier School. When assigned to Barksdale Field and a B-26 Marauder Unit, I was introduced to the bomber aircrew culture which I grew to love. 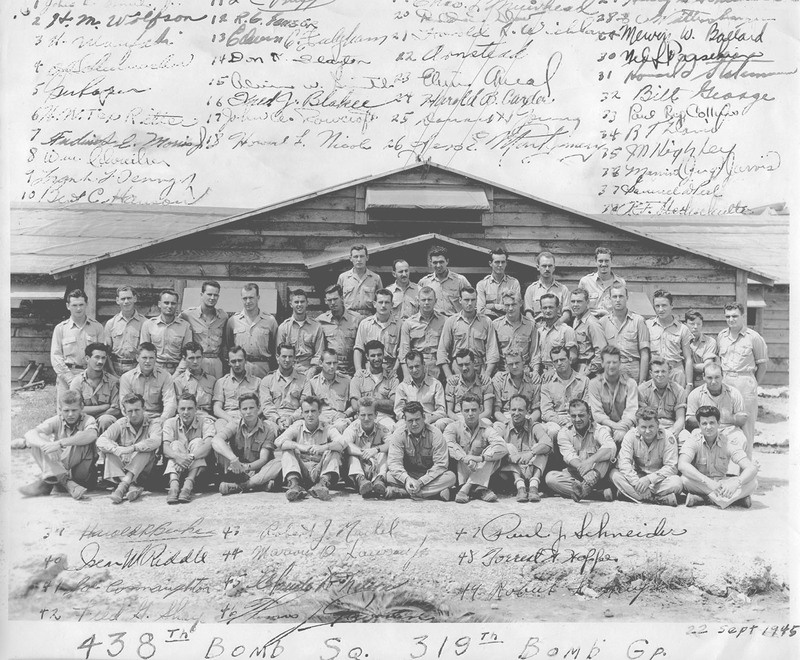 But the icing on the cake was being posted to the famed Colonel Randy’s Flying Circus 319th Bomb Group on the Mediterranean Island of Sardinia in May 1944. 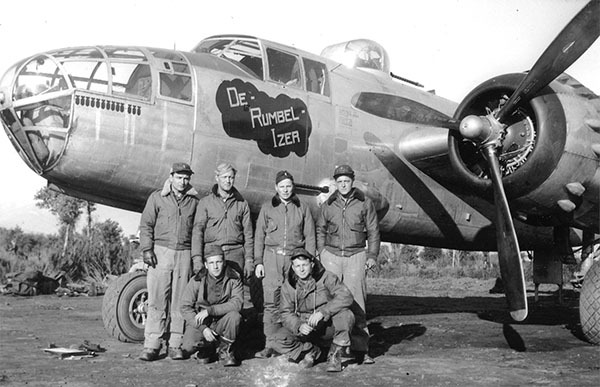 They had been in combat a year and a half, participated in the first major land battle, Operation Torch, the invasion of North Africa, and had already earned a reputation for daring raids and accurate bombing. That’s what this book is all about. I’ve included a number of stories I have written, both published and unpublished, that make clear the highlights of their action from the beginning to the end of World War II. In it are trials and experiences of heroes of the group before my arrival. Those stories are followed by my own eyewitness accounts of how I too participated in major air battles to become one of them. My intent is not to glorify war but to glorify the efforts of ordinary men who were called on to win a war. They responded through on-the-job training, suffering, and correcting their own mistakes as well as those of their leaders. This is their story. The Ardent Writer Press is pleased to have Joseph Connaughton with us. Joe’s skill as a writer is demonstrated in his many articles published in several military journals and magazines as well as those on the civilian side. 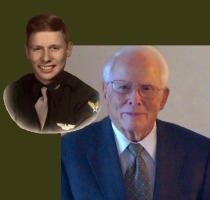 He has published war stories in WW II History, Aviation History, Army, Learning Through History and the U. S. Air Force Museum Friends magazines. In addition, he has published other material in Old Huntsville, Jones Valley Life, The Downtown (Huntsville), and The Valley Planet. 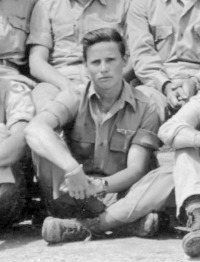 (1st Lt.) Joseph W. Connaughton, Bombardier/Navigator with the 319th Bomb Group in World War II (438th Squadron), served in both the Mediterranean and Pacific Theaters of Operations, completing 47 combat missions. Among the many brave men of the 319th was one of the original Mercury 7 astronauts, Donald “Deke” Slayton, a good friend of Joe’s both during and after the war, as well as several members of the famous Doolittle Raiders and a number of general officers, including 4-Star Air Force General Randall Holzapple. 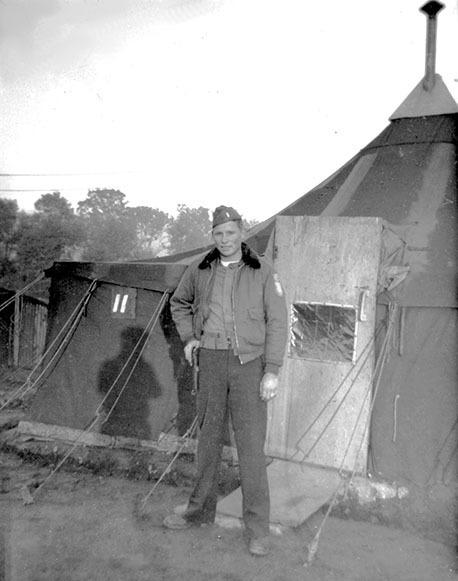 Holzapple was the longest-running commander of the 319th during WWII. After the war Joe attended the University of Alabama on the G.I. Bill and graduated with a B.S. in Chemical Engineering in 1950. Connaughton’s professional career included 27 years as a propulsion engineer with the Army Missile Command and eight years as a propulsion consultant with Stone Engineering Company, Huntsville, Alabama. Joe is married to the former Laura Houston, Mobile, Alabama and is the father of three children, Julie, Martha and Jeff, and has several grandchilden. Julie and Jeff are graduates of University of Alabama and Jeff has a MBA from the University of Chicago, as well as a LL.B. from Stanford University. Martha is a graduate of Calhoun Community College, Decatur, AL. Joe and his wife, Laura, reside in Huntsville, AL. Joe was a contributor to the excellent historical record of the 319th, The 319th in Action, compiled by Harold E. Oyster (439th Squadron of the 319th Bomb Group-deceased) and his wife, Esther Oyster Quineau. Harold and Esther wanted to document this great unit’s place in history. Through their perseverance they were able to complete the first edition in 1976, making The 319th in Action available for the 319th’s first reunion held in 1977 that the Oysters also so diligently worked to organize. Several editions later, Esther asked The Ardent Writer Press to publish a final edition which is now on sale at Amazon at the link above. The 319th in Action can be found on Amazon HERE. While Joe’s service was from 1943-1945, he still managed to serve in both the European/Mediterranean and the Pacific Theaters of Operation. The below photos capture some of the flavor of that service in these theaters. 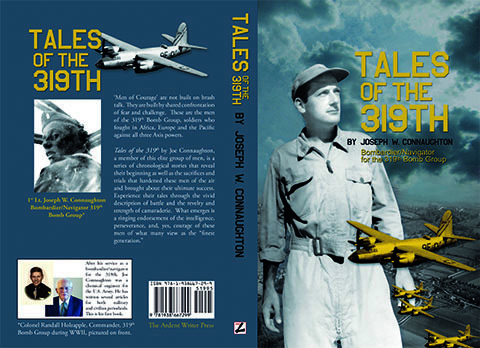 For more information, buy your copy of Tales of the 319th when it is published in December. ‘Men of Courage’ are not built on brash talk. They are built by shared confrontation of fear and challenge. These are the men of the 319th Bomb Group, soldiers who fought in Africa, Europe and the Pacific against all three Axis powers.